Hazel Charlotte Shipley Tarlton, age 86, of Greeneville, passed away Friday morning at Johnson City Medical Center. Her faith was in Christ and she was a founding member of Appalachian Baptist Church. She will be remembered for many things, but most of all for her fierce, unconditional love she had for her family. Many knew her as a woman with lots of fire. She often assisted her husband on catching moonshiners. She would drive the confiscated liquor cars back to the Sheriff’s Department while Berry hauled those arrested. Others remember her for her affinity for flowers and plants and her special “green thumb”. Those who rode with her will never forget her need for speed in her 74 Galaxie 500. Her Sunday dinners were enjoyed by many. Survivors include two daughters: Jane Jones and Sandy Brown; grandchildren and spouses: Tracey and Martha Jones, Tonya and Eric Broyles, and Cody and Amanda Mitchell; great-grandchildren: Ben and Kayla Jones, Hannah and Peter Barnes, Lydia Jones, and Kase Broyles; great-great-granddaughter: Carolina Jones; sisters-in-law and brother-in-law: Nelle Shipley, Tillie Tarlton, and Clyde and Lois Tarlton; many special nieces and nephews. 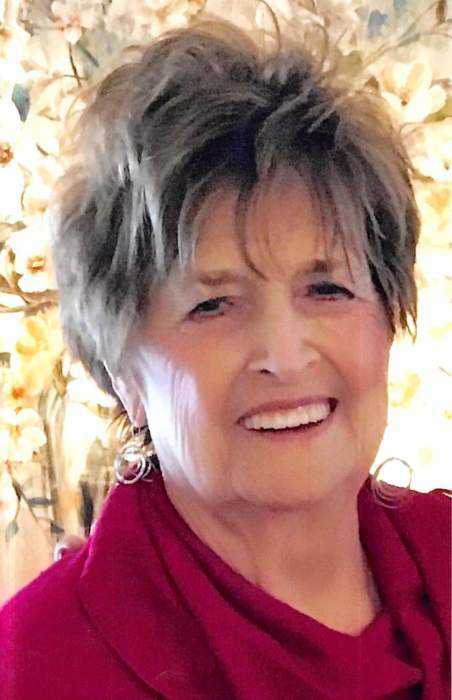 She was preceded in death by her beloved husband of 63 years, whom she loved deeply: Berry L. Tarlton in 2012; two sons-in-law: Terry Jones and TW Brown; parents: Rube and Retta Shipley; three brothers and two sisters-in-law: Roy “Tom” and Edith Shipley, Robert and Etta Shipley, and Clyde Shipley; five sisters and brothers-in-law: Ann and Melvin Smith, Nina and Joe Foulks, Flo and Carl Lowery, Gladys and Hobert Presley, and Julia and Joe Tarlton. The family will receive friends at Doughty-Stevens Funeral Home from 2 – 4 and 5 – 7 p.m. Sunday. The funeral service will follow visitation at 7 o’clock in the funeral home chapel. Pastor Tracey Jones will officiate. The committal service will be at 10 a.m. Monday at GreeneLawn Memory Gardens. Those who wish to go in procession to the cemetery are asked to meet at Doughty-Stevens at 9:15 a.m. on Monday. Active pallbearers will be grandsons and Charles Lowery, Terry Lowery, Rocky Lowery, and Ronnie Foulks. Honorary pallbearers will be her Appalachian Baptist Church family.